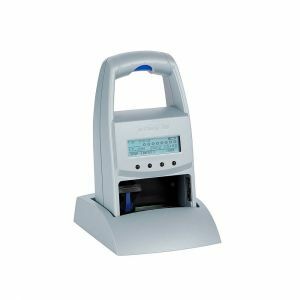 Reiner industrial marking electronic stamps are the most advanced stamps for marking most products permanently. Reiner electronic stamps can mark each product with a machine readable dot matrix code providing a traceability solution in a factory production process. 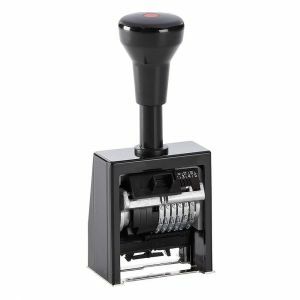 Heavy duty Automatic Self inking numberer with 6 bands each with 0-9. 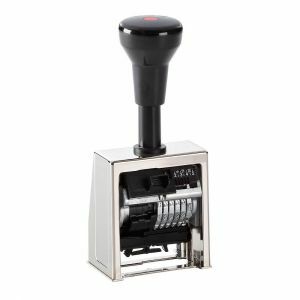 Lighter weight Automatic Self inking numberer with 6 bands each with 0-9. Reiner Speed-i-jet 798 electric stamp is the solution for mobile stamping. 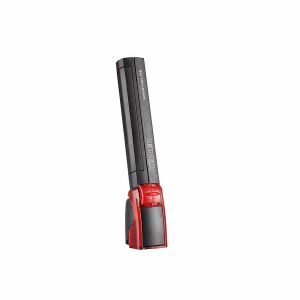 Easily portable it will stamp any absorpent surface either smooth or uneven, rigid or soft. Ideal for hospitals, warehouses, quality control and wherever portability is important. Prints easily, quickly and quietly on all even and uneven surfaces, forms, bundles of documents, or envelopes. 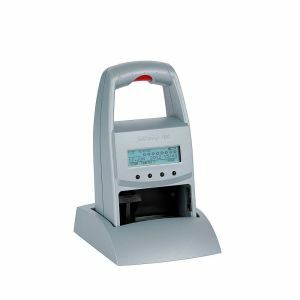 Model 790 is Battery powered for added flexibility – easy and convenient to take anywhere to mark goods. Prints easily, quickly and quietly on all even and uneven surfaces. The ink is quick drying on plastics and metals. 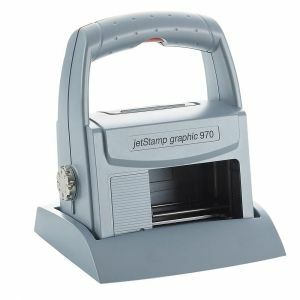 The jetStamp graphic 970 is a mobile hand-held inkjet printer that marks documents, packaging or products simply and quickly. In addition to number, date, time and text, this device can also print graphics and barcodes. With the MP ink, it is also possible to print on non-absorbent surfaces such as metal and plastic. The 970 is mobile, handy and easy to use and program. Online orders can be posted to the shop for collection. Copyright © 2019 Blade Rubber Stamps Ltd.